For the 2017/18 financial year, the Office of the Chief Justice (OCJ) estimated a total expenditure of R1.98 billion, of which R198 million was budgeted for Administration, R737 million for Superior Court Services, R82 million for Judicial Education and Support, and R966 million for Direct Charges. With regards to the latter, R908 million was budgeted for Judges’ salaries, and R57 million for transfers and subsidies. The total expenditure estimate for the 2017/18 financial year reflected an 8.8 percent increase from the 2016/17 adjusted budget appropriation. The OCJ reported that construction of the Mbombela High Court in Mpumalanga was 94 percent complete, and the appointment of a Judge President imminent. The Chief Financial Officer (CFO) raised concern at the fact that National Treasury had not yet awarded any operational budget for the court. Several Members shared this concern, with one ANC Member describing the situation as “unacceptable.” The Director-General (DG) of the OCJ assured the Committee that the OCJ would assist in the operation of the Mbombela HighCourt until funds were appropriated, albeit this operation would be in the narrowest, skeletal sense. The Acting Chairperson raised a question relating to the OCJ’s policy on judges’ vehicles. The CFO informed the Committee that according to the Judges’ Remuneration and Conditions of Employment Act, all judges and acting judges were entitled to a vehicle, currently either the Mercedes-Benz SL350 or a BMW 740i. For the purpose of cost containment, he stated that the judges and Heads of Court decided amongst themselves to voluntarily reduce some of the benefits associated with the Act in order to make up for budget shortfalls in the OCJ. However, the CFO noted that the OCJ would be compelled by law to provide benefits if judges were to request such benefits. The OCJ shared further information on the recent break-in at the OCJ Head Office in Midrand, Gauteng. The media reported that around fifteen laptop computers were stolen during the incident, some of which were believed to contain sensitive and personal information about OCJ staff. The DG stated that the theft of computers “constituted a huge setback for the entire administration of justice”. Several ruling party Members asked what measures were being taken to ensure the incident did not happen again. The DG informed the Committee of tighter security measures being put in place, including increased police patrols, enhanced private security presence, security cameras and reinforcement of perimeter fencing. The issue of whether police or private security should safeguard the office, however, remained a contentious one. An ACDP Member questioned the DG as to whether the Midrand facility had any operational security cameras at the time of the burglary. Furthermore, he requested to know whether any other property was stolen besides the laptop computers. The Member suggested the possibility of the incident being a direct attack on the judiciary, considering only certain computers were stolen from the Human Resources Department. The DG informed the Chairperson was instructed by the Acting Police Commissioner Mr Phahlane not to disclose any further information on the incident. She stated that “the more you say on your side, the more you make this Office vulnerable”. The DG, however, offered to answer the Members’ questions “offline”. The Acting Chairperson welcomed Members and the delegation from the Office of the Chief Justice. She informed the Committee that she would stand as Acting Chairperson for the session, in the absence of Dr M Motshekga, who was still recovering from ill health. Ms M Sejosengwe, Director-General, Office of the Chief Justice (OCJ), presented on three programmes currently being undertaken by the OCJ; namely Programme 1: Administration, Programme 2: Superior Court Services, and Programme 3: Judicial Education and Support. The DG reported that these programmes formed the broad framework for the realization of the OCJ’s strategic goals for the 2017/18 financial year. Under Programme 1, Administration, the DG reported medium term targets of reducing the number of funded vacant posts on Persal to under 10 percent, as well as achieving an unqualified audit opinion for the current and two subsequent financial years. To this extent, the OCJ received an unqualified audit opinion for the concluded 2016/17 financial year. Furthermore, the OCJ reported plans to implement the Information Communication Technology (ICT) Master Systems Plan over the Medium Term Expenditure Framework (MTEF) period, with the information security framework expected to be developed in the current financial year. Programme 2, Superior Court Services, was intended to provide court administration and technical services to the superior courts. It consisted of several sub-programmes, including administration of Superior Courts, Constitutional Court, the Supreme Court of Appeal, High Courts, and Specialized Courts. The OCJ reported an overall MTEF target of 80 percent for the achievement of quasi-judicial objectives for the 2017/18 financial year. The quarterly targets in this regard directly reflected the MTEF targets. Programme 3, Judicial Education and Support, was expected to provide education programmes to judicial officers, including policy development and research services. It consisted of several sub-programmes, including the South African Judicial Education Institute, Judicial Policy Research and Support, and the Judicial Service Commission. In terms of realizing its strategic objectives, the OCJ reported a target of 77 judicial education courses for the current financial year (including 36 courses in the second quarter), and a 5-year strategic target of 375 education courses. Furthermore, the OCJ reported an annual target of 85 percent for policy development and research services provided within 15 working days of receipt. In terms of the 2017/18 strategic risk register, the OCJ reported six strategic risks challenging the realization of its strategic objectives. These risks included inadequate budget to capacitate the OCJ, inadequate measures to enforce governance, inadequate support provided to the Superior Courts, inadequate ICT infrastructure and business systems, inconsistent application of court administration standards, guidelines and rules, and inadequate resources to facilitate training for judicial officers. The OCJ highlighted several plans of action to address the aforementioned strategic risks but many of these plans involved requesting funds from the National Treasury. Mr C Coetzer, Chief Financial Officer, OCJ, reported the adjusted appropriations for the three Programmes and direct charges for the 2016/17 financial year, as well as Medium Term Expenditure estimates for the current and subsequent two financial years. For the 2017/18 financial year, the OCJ estimated total expenditure of R1.98 billion, of which R198 million was estimated for Programme 1, R737 million for Programme 2, R82 million for Programme 3, and R966 million for direct charges. With regards to the latter, R908 million was estimated for Judges’ salaries, and R57 million for transfers and subsidies. The total expenditure estimate for the 2017/18 financial year reflected an 8.8 percent increase from the 2016/17 budget appropriation. Mr Coetzer noted that the budgeted amount for compensation of employees over the MTEF would be insufficient, leaving the OCJ’s “hands tied” in terms of capacity. He stated that if all vacant posts were to be filled in the current financial year, the OCJ would not be able to afford these individuals because of the budget ceilings for subsequent years, imposed by the National Treasury. Therefore, the budget increase for the 2017/18 financial year for compensation of employees would be “null and void” for the OCJ in practice. The CFO requested the Committee’s intervention in the appropriation of additional funding, specifically towards an operational budget for the Mbombela High Court in Mpumalanga. Mr Coetzer stressed the limitations of the imposed budget ceiling for compensation of employees, and reported on a number of other budgetary issues faced by the OCJ. These issues included the allocation of funds for the macro-structure of the OCJ, funding for the implementation of the Supreme Court Act, funding for the cost of the Auditor General of South Africa (AGSA), compulsory Department of Public Service and Administration (DPSA) compliance and ICT licensing fees, which have since been fronted by the Department of Justice (DOJ). Mr Coetzer estimated that an additional R90 million would be needed in the current financial year for the maintenance of existing OCJ services, as well as expand services to the High Court in Mpumalanga. Ms Sejosengwe stated that the aforementioned budgetary issues were not provided in the Members’ documentation, but served only to highlight the OCJ’s engagement with the National Treasury on these issues. She stated that the OCJ took Members’ previous calls for transformation of the judiciary seriously, and that the Office was committed to addressing these issues within the MTEF period. She stated that the OCJ would support the judiciary in reviewing certain pieces of legislation, including the Judges’ Remuneration and Conditions of Employment Act of 2001. Mr Sejosengwe informed the committee that the Limpopo High Court was operational. In terms of the operationalization of the Mpumalanga High Court, she informed the committee that six staff members were expected to be transferred from the DOJ, however no operational budget had been provided for this purpose. She noted that based on the last Judicial Service Commission (JSC) sitting, the appointment of the Judge President was imminent. Lastly, Ms Sejosengwe reported on the OCJ’s highlights since its inception in 2010. These highlights included the acquisition of the OCJ headquarters in Midrand, the operationalization of the Limpopo High Court division, the establishment of the OCJ’s website and corporate identity manual, the lack of budget overspending and clean audit opinion, and the development of customer service improvement plans across twelve centres countrywide. Mr S Swart (ACDP) congratulated the OCJ on its clean audit opinion. He expressed his appreciation for the budgetary suggestions, however, he requested that Members be provided with the documentation pertaining to these grievances. He requested clarity on the unusual escalation in the estimates for voted funds in the Medium Term Expenditure estimates. Furthermore, what explained the decrease in the budget for transfers and subsidies from R81 million in 2016/17 to R57 million in the 2017/18 financial year? Regarding the lack funding for the operation of the Mpumalanga High court, he described the situation as inexcusable and of great importance. He requested to know whether there was a backup plan for operating the court. What was the extent of the OCJ’s consultation with the DOJ on this matter? Mr Swart raised a question pertaining to the theft of a number of laptop computers from the OCJ headquarters in Midrand, as reported in the media. He said that this incident posed a threat to the security of courts and the safety of judges considering the personal information contained in these computers. Has the OCJ made any efforts to upgrade security at the Midrand office? Have the computers been recovered? Lastly, he requested information regarding incidents of fraudulent court orders. He stressed the severity of this issue, arguing that the court orders were obtained for nefarious reasons. Mr W Horn (DA) raised the issue surrounding the measurability of indicators in the Annual Performance Plan. He requested clarity on a matter mentioned previously by the OCJ, regarding the slower pace in appointment of magistrates. Has the remaining budget allocated for education and training been ring fenced for that purpose? Addressing the OCJ’s “wish list” of budgetary constraints, he stated that he was sympathetic towards the OCJ in this regard, however, the Committee could not ignore the current fiscal constraints on State spending. 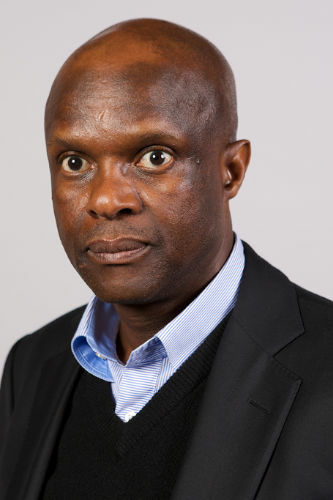 Was there no way the OCJ could operationalize the Mpumalanga High Court through the shifting of funds in a similar manner that it did for the operationalization of the Limpopo High Court? Mr M Maila (ANC) extended his congratulations to the Chief Justice on his election as the President of the African Judicial Congress. He emphasized the importance of judges being individuals with integrity, and highlighted the problem of corruption in the judiciary. Were there systems in place to root out corruption in the judiciary? Addressing the break-in at the Head Office of the OCJ, he requested to know what was being done to ensure that a similar incident did not occur. If so, what were the implications on the budget, considering this was an unforeseen expense. Were there any pressing matters in relation to the OCJ’s most recent audit outcomes? On the issue of land claims, were there any backlogs? What was being done to ensure that the critical issue of land was being taken seriously and handled properly by the OCJ? Mr Matiase (EFF) noted that the OCJ reported previously on Provincial Efficiency Enhancement Committees and related structures tasked with, amongst other things, the coordination of judicial norms and standards. He stated that he was concerned with the prospect of the OCJ violating DPSA compliance. He stressed the severity of violations of norms and standards of conduct, with reference specifically to an incident involving a Magistrate Judge in Mthatha. There seemed to be no mechanism in place to hold these individuals to account. What was the OCJ doing to enhance the upholding of the judicial norms and standards? Mr L Mpumlwana (ANC) asked what was being done in relation to the inclusion of indigenous languages in the South African court system. He recalled a disagreement he had with the Chief Justice on this issue. Mr Mpumlwana emphasized the difficulty and confusion associated with individuals utilizing translator services in the courtroom environment. For this purpose, Mr Mpumlwana appealed to the OCJ delegates to further investigate the use of indigenous languages in order to secure the fair ends of justice for individuals that could not speak English. Mr B Bongo (ANC) thanked the OCJ delegates for their presentation, however, he expressed dissatisfaction at the unclear use of percentages and numbers to express strategic objectives and annual targets. He stated that for this reason, it would be difficult for the Committee to conduct oversight if they could not interpret these indicators. He noted the media reports of racial tension within the court administration. What was the OCJ doing in this regard? Furthermore, in terms of case flow management, how did the OCJ plan to achieve an integrated criminal justice system? How would the OCJ coordinate with other departments for this purpose? Mr Bongo noted that the OCJ’s presentation indicated that R70 million was still owed to ‘g-FleeT’. What were the details of this matter? Mr Bongo stated that Mr Mpumlwana partially addressed his point regarding indigenous language in the judiciary, and stressed government’s emphasis on radical transformation in the fifth Parliament. He requested to know which courts generated fraudulent court orders, and the extent to which sitting judges were involved. Lastly, he stressed the severity of the lack of funding for the High Court in Mpumalanga. He stated that the Committee was initially under the impression that this Court would open at the same time as the Court in Polokwane, however this was not the case. The Chairperson criticized the OCJ’s presentation for its lack of quarterly targets in capacitating the OCJ, as well as the “inward looking” interpretation of strategic risk management. The presentation did not take into account broader, structural issues, including the impact of transformation in South Africa. With regards to the operation of the Mpumalanga High Court, she requested that the OCJ look at their total funding to ascertain the possibility of operating the Court with existing resources. She noted that the lack of funding for the AGSA was also urgent, considering the audit must, by law, be conducted. She requested further information on the JSC reports, as it was generally difficult to conduct oversight on that structure. The Chairperson also stated that the OCJ must seriously consider all its requests for budget increases, considering the prospect of a reduction across the board for national expenditure. The fact of the matter was that the fiscus of the country must be able to afford these allocations. In terms of the fleet management policy, what brand of vehicles were procured, and what was currently being done with obsolete vehicles? Ms Sejosengwe noted the Committee’s concern with the theft of the computers with regret. She stated that the South African Police Service (SAPS) response was comprehensive, and they were currently assisting in the ongoing investigation. Furthermore, she noted that the number of security guards around the building increased, the landlord was committed to upgrading the perimeter fencing, the exterior lights was improved, and the SAPS committed its assistance. However, the issue of exclusive utilization of private or police security remained contentious. The OCJ were also in the process of procuring biometric security cameras around the premises. She noted that the Department of Justice was responsible for the physical security of the buildings. The investigation into the burglary was currently ongoing. In response to the issues around the Mpumalanga High Court, Ms Sejosengwe stated that the concerns of the Committee were noted, and that the OCJ was doing its best to transfer existing funds to “fill the gaps”. However, there was a point when this became unsustainable, and additional funding was necessitated. She stated that the six-member staff was currently available, and that she doubted that once the Court was constructed that the National Treasury would simply ignore the OCJ’s request. She stated that she and the CFO would look into moving existing funds for the operation of the Mpumalanga High Court but this operation would be in a narrow, skeletal sense. She assured the Committee that she would keep them informed in this regard. Addressing the question relating to the possible violation of judicial norms and standards, Ms Sejosengwe stated that the OCJ was committed to rooting out corruption in the judiciary. She noted that there was a judicial Code of Ethics in place, in terms of the Judicial Service Commission Act of 1994. She stated that in terms of the OCJ’s annual performance plan, their role remained to support the judiciary in ensuring compliance. However, she continued, any matters relating to judicial integrity should be dealt with through the relevant structures. Responding to Mr Mpumlwana’s question regarding the use of indigenous languages in court, Ms Sejosengwe informed the Committee that the matter was currently an “ongoing conversation”, and that she discussed the issue with the Chief Justice and the heads of the Courts on 26 November 2016. She stated that the Committee’s advice on linguistic transformation was duly noted. Addressing Mr Bongo’s question regarding the possibility of racial tension in the judicial administration, Ms Sejosengwe stated that she was unsure what incident Mr Bongo was referring to specifically. She noted that she would be willing to engage with the Member on this issue. Ms Sejosengwe stated that it remained a problem that citizens were not effectively taught about the Constitution. She stated that she would investigate the extent to which the OCJ’s education services could be upgraded, however, she cautioned that funding could be a challenge. On the questions raised relating to the effectiveness and functionality of the courts, Ms Sejosengwe stated that the issue of overcrowding was a challenge at both the provincial and national levels. She assured the Committee that the OCJ was committed to working with the Department of Correctional Services (DCS) and other stakeholders to address this problem. Furthermore, she noted that the issue was mentioned at a previous National Executive Committee (NEC) meeting in April. On the incidents pertaining to fraudulent court orders, Ms Sejosengwe stated that a committee at the NEC level was put together when the problem first arose. This committee, led by the Judge President of the Gauteng High Court, Mr D Mlambo, was tasked with ascertaining the root cause of the problem with the assistance of the relevant stakeholders, including the SAPS. Furthermore, she suggested action such as modifications to court order papers to ensure that they could not be forged. Addressing the question on the OCJ’s case flow management system, specifically on the possibility that some judges are given more work than others, Ms Sejosengwe stated that the Judge Presidents of the respective divisions were tasked with case scheduling. She stated that the Gauteng High Court was the only division currently experiencing this issue. Mr Coetzer noted that the OCJ incurred a saving of R70 million because of the zero percent increase imposed on judges’ salaries in the previous financial year. For the current year, however, he noted that the National Treasury included an increase for judges’ salaries in the budget. He stated that the decrease in the budget for transfers and subsidies (from R81 million in 2016/17 to R57 million in 2017/18) could be explained by gratuity paid for judges’ salaries. He noted that every fifteen years, judges were entitled to a percentage of their salary as a gratuity. As such, the OCJ budgeted for the number of judges eligible for receiving gratuities in the current financial year, which was in fact lower than the number for the previous financial year. In terms of the increase in the budget for voted costs, Mr Coetzer noted that the budget for compensation of employees increased with the current Consumer Price Index (CPI) notches to R615 million. He cautioned that in the 2017/18 financial year there may be a budget shortfall of around R12 million with current personnel, taking into account the CPI forecast. Regarding the question relating to the slow appointment of Magistrates, Mr Coetzer stated that the OCJ were primarily concerned with the education and training of Magistrates. He noted that an additional R10 million was allocated in the current financial year for this purpose. Regarding the audit outcomes for the OCJ’s maiden financial year 2015/16, Mr Coetzer noted that the AGSA raised several minor issues at the OCJ but no material findings were reported. He stated that the asset verification process for transferring physical assets from the DOJ to the OCJ was a challenge identified by the AGSA. Ms Sejosengwe noted that certain media outlets reported the amount the OCJ owed to ‘g-Fleet Management’ was around R70 million. However, she argued that this figure was grossly exaggerated. She stated that the actual figure was in fact around R26.3 million, and the outstanding amount had since been settled. She noted that ‘g-Fleet’ made payment difficult for the OCJ in terms of neglecting to send invoices for services rendered. Regarding the OCJ’s policy on judges’ vehicles, Mr Coetzer noted that this was a benefit contained in the regulations of the Judges Remuneration and Conditions of Employment Act of 2001, in terms of Section 12. According to the Act, a judge or an acting-judge was entitled to a vehicle, the class of which was determined by the Minister. These vehicles were currently either the Mercedes-Benz SL350 or a BMW 740i. For the purpose of cost containment, he stated that the Heads of Court decided amongst themselves to voluntarily reduce some of the benefits associated with the Act in order to make up for budget shortfalls in the OCJ. However, Mr Coetzer noted that the OCJ would be compelled by law to provide benefits if judges were to request such benefits. Mr Swart requested further clarity on the theft of the fifteen computers at the OCJ head office in Midrand. He asked whether there were security cameras around the premises at the time of the burglary. If so, was the footage being studied? Considering the sensitivity of the information contained on the computers, this incident constituted a “huge setback for the entire administration of justice”, as quoted from the OCJ. What was being done to mitigate against this setback? He requested clarity on the implications of the incident. Was this a direct attack on the judiciary? Ms Sejosengwe stated that she was being put in a difficult situation with regards to this question. She stated that “…the more you say, the more you are making this Office vulnerable.” Furthermore, she requested Mr Swart “take a step back and allow us to do what we need to do”. She did, however, offer to engage with the ember “offline”. Ms. Sejosengwe informed the Committee that she had been instructed by Acting Police Commissioner Mr K Phahlane not to disclose any further information on the incident. She informed the Committee that security was improved at the premises, but requested the Chairpersons indulgence in not disclosing any information relating to the investigation. Mr Swart stated that the incident would have an impact on the public in terms of an attack to the administration of justice. Once again, Mr Swart quoted the OCJ’s statement on the indecent as “a huge setback for the entire administration of justice”, arguing that his question had no bearing on the investigation itself. Mr Bongo argued that the information provided by the Director General of the OCJ was sufficient, and that the matter was being handled. He requested that Mr Swart respectfully left this issue. Mr Swart disagreed, stating that the matter pertained to the entire administration of justice, as the OCJ had stated previously. Otherwise, had the OCJ made a misleading statement on the incident? The Chairperson allowed Ms Sejosengwe to respond in her own capacity, without pressure to divulge sensitive information. Ms Sejosengwe thanked the Committee for its advice and comments, and informed Mr Swart that she would be willing to engage with him “offline” on the issue. Ms Pilane-Majake thanked the OCJ for their presentation and Members for comments thereto.